Landmines have been a problem for third world countries for years. They are left over from territorial wars with no markings to indicate they are there. Many a person has stepped on a landmine inadvertently and lost their life. Many people regard rats in the same way, icky creatures that can cause death through disease. Well you might think differently of them in a minute. 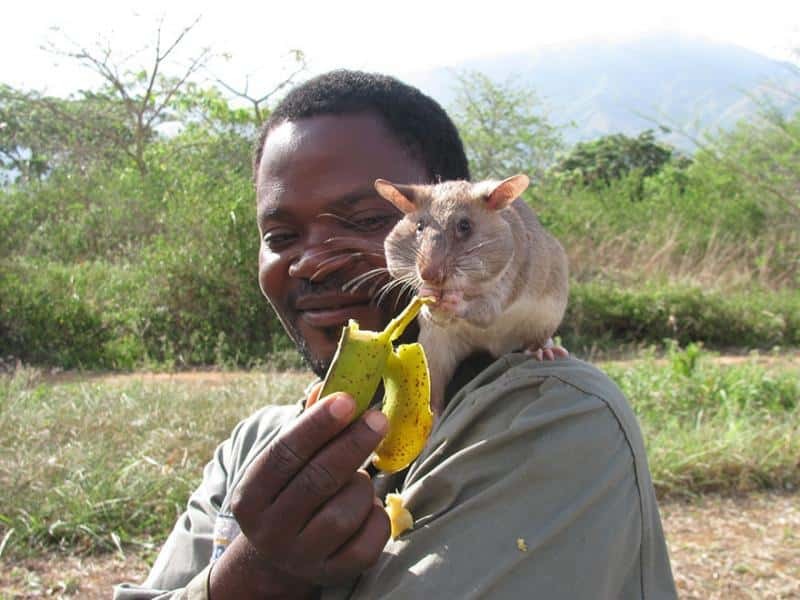 Since 1997 African pouched rats have been sniffing out landmines in Africa. They can move quickly and sniff out some of the most well-hidden landmines. After nine months of training these rats are able to smell landmines buried under the earth and alert humans to their presence. 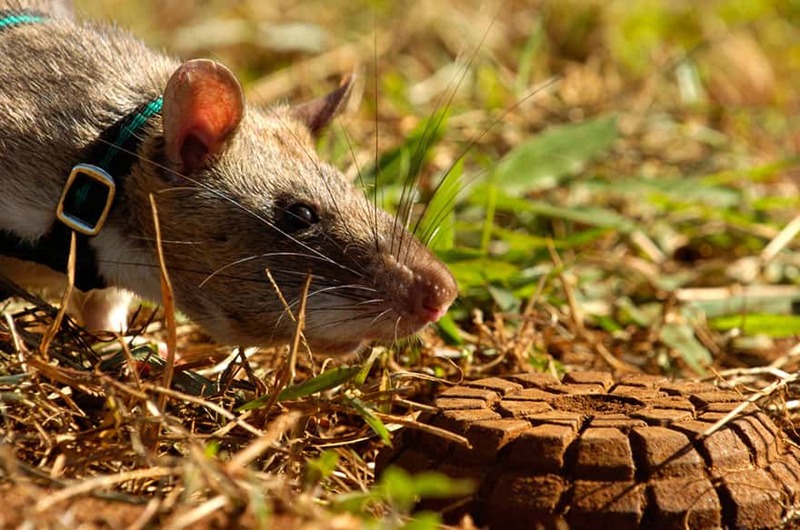 These rats are more effective than any other method out there to detect land mines. A typical EOD soldier would have to walk through a field in heavy body armor, slowly waving a metal detector over the ground. If they get a hit on the metal detector they have to investigate no matter what. More often than you would think they end up finding a nail or bottle cap. The heavy suits they have to wear make it hard to move and can wear a soldier out extremely quickly. Now when news of this program hit the United States many people started claiming animal abuse. They should probably learn the facts before throwing out accusations. These little heroes have never once been lost in the line of duty since 1997. That is a better battle history than any army you can find today. Pouched rats also have a maximum weight of 1.5 kg and it takes 5 kg of pressure to set off a mine. The rat is not physically capable of setting off a mine. The number of lives these rats have been able to save are countless. They are as much heroes and any other soldier. They are also more heavily trained than some. Basic training for the military is only 4 months long. After the plague who knew that rats would be saving many human lives?